The Naples – Marco Island – Bonita Springs region of southwest Florida is fortunate to have a wide assortment of Dental Professionals. Naples FL Dentists are among the most talented in the world. Every dental procedure is available locally. Some of the latest in Dental Hygiene and Oral Care, Facial Esthetics, Botox, Porcelain Veneers, Teeth Whitening, Crowns, Dental Implants, Oral Cancer Screenings, Root Canals, Bridges and other procedures are available by visiting the Naples FL Dentist listed below. Visit the Naples FL Dentists Offices below for more information. To feature your Naples, Marco Island FL Dental Services, contact us. Naples Premier Dentistry is a full service dental spa, incorporating the esthetic aspects of veneers, crowns, and Zoom whitening, as well as Chemical Peels, Juviderm and Botox for a complete rejuvenation of smile and skin. 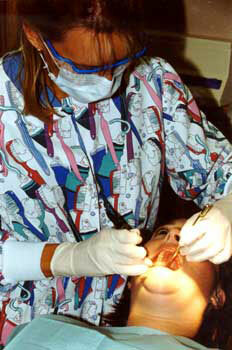 Our Naples FL Dentist practice is devoted to comprehensive and preventive oral care. Our website has more information about our practice, our philosophy of care, procedures we provide, and patient testimonials.